Home, Office, Condominium, Apartment, etc. 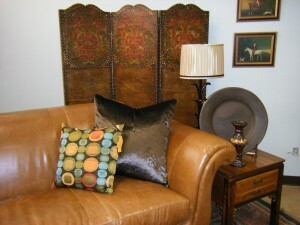 We offer the upstate a variety of high-end and medium-end furniture, accessories, and design products. We provide an avenue to purchase "gently" used decor instead of "new furniture" as well as an opportunity to sell your existing household furnishings. Are you moving, downsizing, or simply wanting to clear out some of your old furniture? If so, be sure to check out How to Consign for more information on how we can help. Also take a look at our Inventory, as it changes frequently. You'll quickly notice what sets us apart is over 40 years experience in quality decorating services, some of which may be seen on our display floor. Instead of the same old shopping trip, which might even take you as far as Atlanta or Charlotte, we can locally inspire an idea of what your rooms can look like. Consigning is a great way to help you downsize, free-up space, and bring in extra cash! Consignors receive half (1/2) of the final selling price of items you brought in, exclusive of sales tax. Checks will be processed on the 10th of the month for the previous month's sales.Checks will be available in-store for pick-up on the 15th. Feel free to call us [(864) 653-7900] and check the status of your items. * Please note; we are closed for HOME Football Games! Take a moment to visit our 'Featured Items' page. We are easy to find and a quick 4 mile drive from Clemson. Take SC-93N, which becomes West Main Street.